Russian Muscle stimulation is similar to EMS but with a higher frequency of 2500 Hz that allows for deeper, stronger yet more comfortable contractions of muscle fibers. Stimulator & Electrode Accessories can be found in our extensive online collection of products from globally recognized and trusted brands, including Current Solutions. 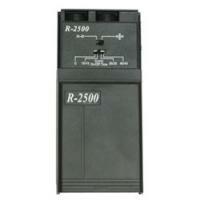 An excellent option to consider is the RS 2500 Russian Stimulator. 6.75" x 5.5" x 2.5"